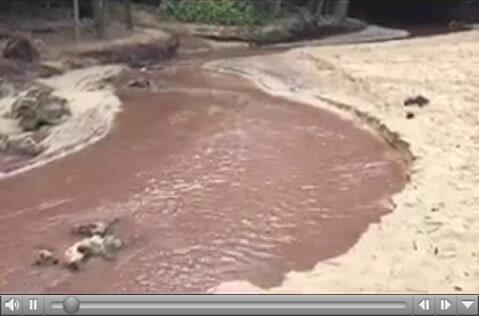 The short video below of Waiopili Stream, which flows through the Maha’ulepu Valley, shows mud and turbidity after one of our tropical storms. It wasn’t that bad of a storm, rain only lasted for 10 hours. What it does establish, is what will happen to the planned land application of 100’s of thousands of pounds of wet manure if HDF’s industrial dairy is allowed to operate? 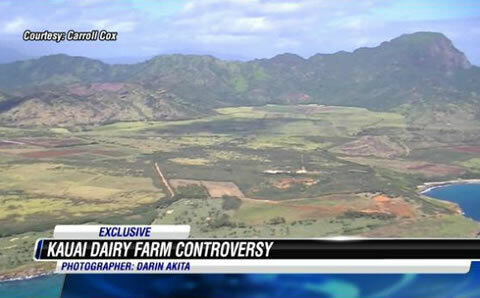 The beautiful Maha’ulepu Valley and coastline on the Island of Kauai, featured in this video, is threatened by a proposed 2,000 cow industrial dairy. Friends of Maha’ulepu (FOM) recognize that the groundwater would be degraded by infiltration of hundreds of thousands of pounds of wet manure each and every day, threatening the nearby County wells, the sole source of water for all of Po’ipu and most of Koloa. The proposed dairy, is to be built upslope from Maha’ulepu beach and the nearby South Shore/Po’ipu coastline and will negatively impact this fragile and beautiful shoreline and it’s abundant marine life. Members of the Kaua`i community gathered to discuss the issues with the proposed Kawai`i Dairy Farm. 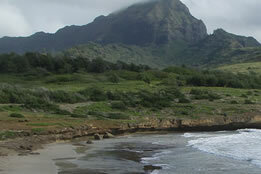 On the south side of Kaua`i, Maha`ulepu is the last accessible undeveloped stretch of coast line, a significant Hawaiian archeological site and located near both fresh and salt water. A poor location for an industrial dairy emitting millions of pounds of urine and feces. Listen to community members discuss their concerns. Dr. Robert Zelkovsky recorded the meeting for anyone unable to attend. Please note that the beginning of the video combines footage of the meeting with another video (Dairyman’s Blues, see below) because Dairyman’s Blues illustrates the very problem we fear will happen in Maha’ulepu, already occurring in Yakima, WA. About 200 people packed the Koloa Neighborhood Center Thursday night (12/11/14) to voice their concerns about billionaire eBay founder Pierre Omidyar’s plans to build a high-tech dairy there. 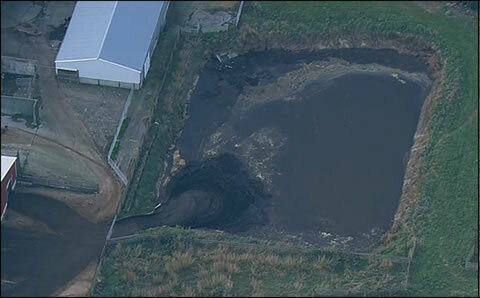 Shellfish, swimming beaches, and the tap water for thousands of people in certain areas of Washington state are being contaminated by pollutants running off farms, and critics say dairy cows are the chief culprit, according to a KOMO 4 Problem Solvers investigation.